You are here: Home › Sleep Improvement › Should You Replace Your Pillow? A new pillow could be the sleep upgrade you need! Which pillows are the most reliable for a good night’s sleep, and how often should you replace them? With so many different types on the market — from foam to latex to feather — choosing the best pillow for you can be difficult. While materials can change from brand to brand, most pillows, regardless of material, need to be replaced every two or three years. Besides passing time, how can you tell if it’s time for a new pillow? When you get a full 7–8 hours of sleep each night but still wake up feeling restless, your pillow may be the problem. Depending on how the pillow is made, the materials inside might be getting too hot and keeping you from comfortably sleeping. Feather pillows tend to heat up, which is why some sleep specialists recommend latex or foam pillows instead. New pillows are an easy way to wake up refreshed! Similar to waking up not fully rested, waking up with neck or back pain can be a signal that you need a pillow replacement. A sore neck or back means your spine isn’t staying in alignment, which could be because of your pillow. Try finding new pillows that help keep your neck in alignment for the correct posture in bed. This is a trick question because the best pillow for someone else may not be the best for you. When it’s time to get a new pillow, you’ll want to find one that conforms to your head and neck. For stomach sleepers, search for a flat pillow or even opt for no pillow at all. Side or back sleepers should look for a pillow that comfortably fills the area between your shoulders and head. 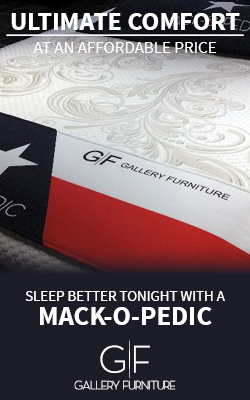 When it’s time for a replacement pillow, consider talking to a Gallery Furniture sleep expert to find the pillow of your dreams!